The Indian Bakery Industry has seen a whirl wind of change in the past decade. From, consumers resorting to sliced bread, buns and the occasional cakes and pastries to a growing demand for a variety of sweet and savoury baked products - fresh and packaged. The one key is in the innovation - the Indian palate, the other key is bringing in the western philosophies of bakery production. 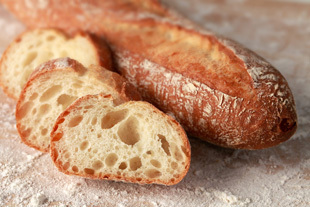 The bakery industry is also seeing a growing trend in traditional artisan breads of India in packaged and frozen form. Time constraints have reduced desires to cook fresh. Consumers are constantly looking for the freshest and the closest options on store counters for their artisanal favourites. We specialize & expertise in the supply of plant machinery and experties for the industrial production of biscuits, cookies crackers, cakes and a large variety of other baking products. We offer knowledge on automatic biscuit production systems. Experience of computer assisted biscuit production systems has resulted in improvements of basic,manually controlled,equipment. Packaging has always played a critical role in the bakery industry where perish ability, shelf life, consistency and all natural ingredients to production and sale.